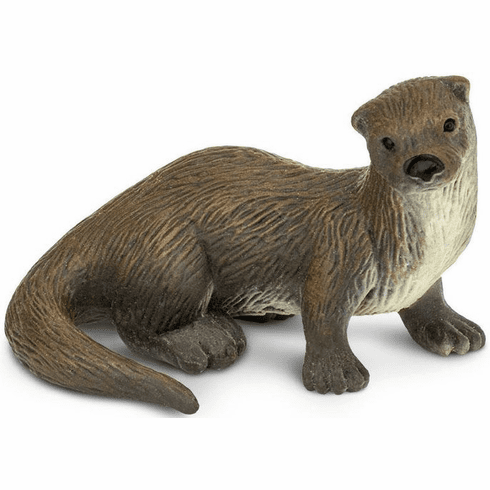 A semiaquatic mammal primarily endemic to North America, the river otter is actually a close relative of the weasel and shares many of the same habits and physical characteristics. However, it differs from weasels due to its webbed feet, powerful tail, and water-repellant fur. Approximate size in inches: 2.68 L x 1.97 W x 1.77 H.